Here is the list of PBA games scheduled for March 22, 2019 (Friday). The 2019 PBA Philippine Cup will resume today at the Ynares Center in Antipolo. The first game is scheduled at 4:30 PM and it’ll be the TNT KaTropa and the Columbian Dyip. 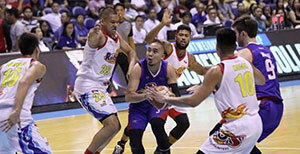 The KaTropa is currently the hottest team in the All-Filipino Cup having four-game winning streak. They wanted more and bring a winning momentum when the playoffs starts next month. The Dyip on the other hand will attempt to solidify their post-elims bid. Reaching five victories will put them back once again in the top eight squads. The second game is between the Magnolia Hotshots Pambansang Manok and the Blackwater Elite at 7:00 PM. The Hotshots will be entering for its three straight games. So far, in their past two outings they’re 1-1. 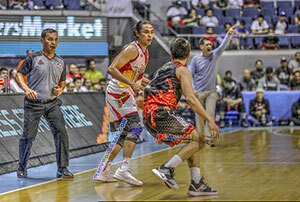 A win against NorthPort Batang Pier last Wednesday but absorbed a defeat versus the Barangay Ginebra San Miguel during Sunday’s Manila Clasico. Though the Elite at the very tail end of the standings but the team of coach Bong Ramos is very capable to stage an upset.